Reference checks should be initiated for all final candidates prior to recommending a candidate for the position. Obtain several professional references for each candidate under serious consideration. Personal references usually do not provide objective information. Always contact the employee's current or most recent employer. If a candidate prefers that their direct supervisor not be contacted, attempt to contact Human Resources or request that they provide someone else who works for the company or a customer who is willing to provide a reference. If requested, agree not to check current references unless they are the final candidate. Although not required, written consent is recommended to check references. 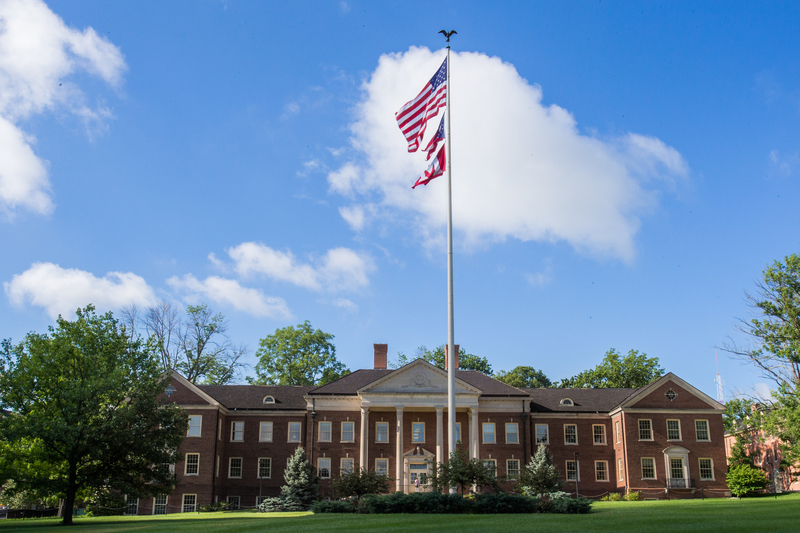 The signed application gives Miami University permission to conduct a background review. If you know someone who worked with the candidate in the past and could provide a reliable reference, you may contact them as a reference. However, as a courtesy, you should inform the candidate that you intend to contact the person. Employers that provide truthful information pertaining to an employee's job performance are not liable. If an employer provides information that they know is false, with the intent to mislead the prospective employer, they may be found liable. An employer may also be found liable if the information provided is found to be discriminatory. You cannot ensure that references give correct information; however, if a claim of "negligent hiring" arose and you conducted a thorough reference check, the claim could likely be moved to the reference that knowingly gave you the incorrect information in your reference check. Share reference check information only with individuals that are part of the search committee. Reference information, however, is public record and must be maintained in the search file. Please see the Records and Retention manual for guidance on retention of files. A personnel file is a good source of information for an internal candidate. Interviewing committees should consider reviewing the employee file as an essential step in the hiring process. Contact HR to set up a time to view an internal candidate's personnel file by calling 513-529-3131. It is preferable that you contact references by phone. Writing to the reference often results in little information or no response and does not provide an opportunity for clarification or additional information. Identify yourself, your position, the candidate you are calling about and the reason you are calling. Make sure you are calling at a convenient time or schedule a telephone call for later. Ask the reference if they need to retrieve a file or other information. Describe the position the candidate has applied to and the necessary knowledge, skills, and abilities for the position. Ask the same questions of all the references. Select questions (we provide examples below). Determine the knowledge, key skills and abilities needed of the position. Write questions related to key points. Document the questions and responses. Thank the reference for his/her time and assistance. When did this candidate work for your company? And/or how long have you known the candidate? Describe the applicant's most recent job duties and responsibilities. How would you describe the quality of his/her work? How would you characterize his/her technical skills? How would you describe this candidate's ability to work as part of a team? On a scale of 1 to 10 (1 being poor, 10 being excellent), how did the candidate live up to his/her responsibilities? Are there any areas in which this candidate could use additional training and development? How would you describe his/her leadership, managerial and/or supervisory skills? How does the candidate handle multiple projects at one time? How well does the candidate respond to pressure? How would you describe the candidate's interpersonal skills with management, peers and customers? How does the candidate handle criticism and conflict? Does this candidate communicate well orally and in writing? Did this candidate ever have any disciplinary issues for gross misconduct or violation of company rules? Would you rehire this candidate? Why did the candidate leave your company? Do you have any additional information that might assist the committee in reaching a hiring decision? Any question that is deemed discriminatory during an interview of the candidate should not be asked during a reference check. This includes (but is not limited to) questions regarding marital status, age, disabilities, race, religion, or nation origin.